When I was a summer camp counsellor, I took the boys from my cabin on a hike through the woods one day. It was very hot, and the mosquitoes were ferocious. It wasn’t long before some of the boys began to wonder aloud whether I knew where I was taking them. Then someone stepped in a hornet’s nest, and some of us got stung. There was panic and a sudden unanimous conviction that we were lost, and that it was my fault — a minor mutiny. 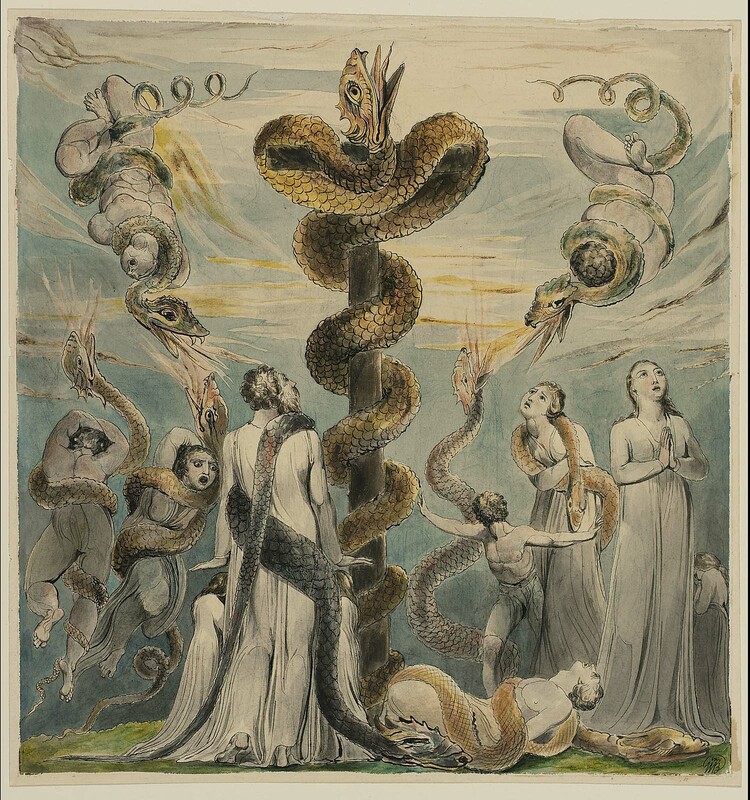 The metaphor of the serpent in the wilderness which John uses to amplify the message of the cross (and which the lectionary has chosen to reinforce) seems bizarre. Stories of wilderness grumbling about food are frequent in the story of the Exodus, but this version is unique: immediate punishment by snake-bite, and a remedy that looks suspiciously like a graven image! There are depths to this story we may never fathom — although the similarity to the staff of Asclepias, the Greek god of healing, can hardly be coincidental. The pharmacological wisdom of using a small dose of the poison as the antidote to the poison (as in vaccination) may be part of the answer. More to the point, if the people were to be healed they would have to ‘face up to’ the thing they feared. But did everyone get bitten? Or did the few who got bitten trigger a panic amongst the many who were already predisposed to fear the worst? And which was the greater danger: snake-bite, or social hysteria? Was Moses perhaps viewed as the real ‘snake’? These, after all, are some of the social dynamics that came into play in the story of Jesus: resentment about God’s failure to save us in the way we would have preferred, a resentment we project onto any convenient scapegoat, and the unchecked power of an evil spirit that we have been unwilling to acknowledge or ‘face up to’. So Jesus became our scapegoat. But that does not justify using crucifixes as therapeutic charms. Rather, beholding the cross must be a ‘facing up to’ the reality that we actually rejected his way and resorted to violence to express our frustrations and our fears. We have to ‘face up to’ the crime we committed against the One who was the world’s best hope. And yet his arms are outstretched in mercy still! However, the reading from the Letter to the Ephesians takes us one step further. It portrays our dilemma as a fatal entrapment: “You were dead through the trespasses and sins in which you once lived, following the course of this world...following the desires of the flesh and senses...by nature children of wrath”. A more insightful account of our contemporary global crisis would be hard to find! It suggests that our defection from God’s ways has left us captive to psycho-social forces that can only adequately be named using mythological language: “the ruler of the power of the air, the spirit that is now at work among those who are disobedient”. Here is something very important for baptismal candidates (and all who are returning to the truth of their baptism) to hear. 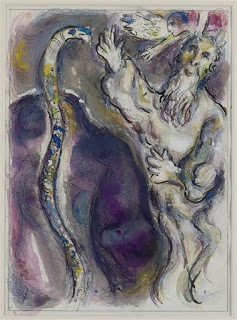 “Just as Moses lifted up the serpent in the wilderness, so must the Son of Man be lifted up, that whoever believes in him may have eternal life.” This penitential season is a time for recognizing the forces that have held us captive; but it is not a time for digging ourselves out! What we must do is simply turn toward the light, turn to the one who is our deliverance and let him lift us up. Believing in him is not a meritorious thing to do; it is his merit, not ours, that counts, and we can learn to follow him, becoming what he is, by God’s gracious gift. 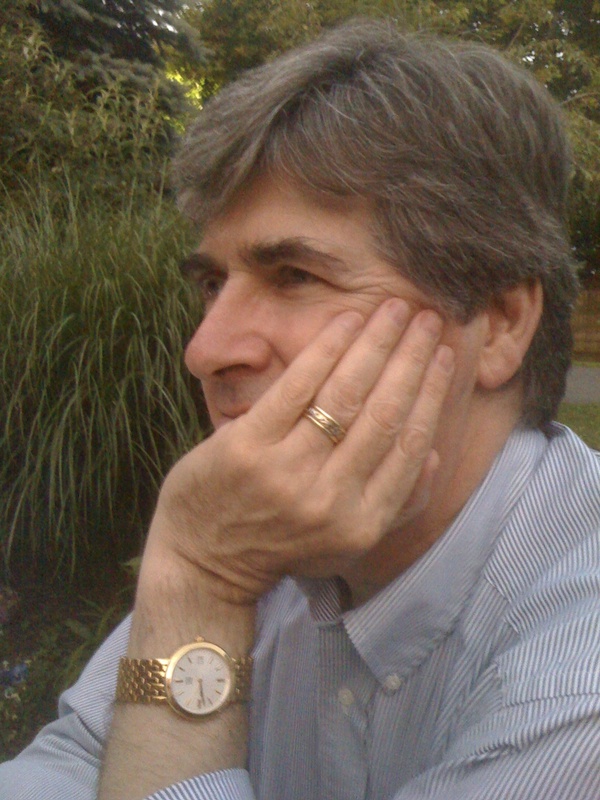 John W. B. Hill is an Anglican presbyter living in Toronto, Canada. He is a Council member of APLM, chair of Liturgy Canada, and author of one of the first Anglican sources for catechumenal practice.